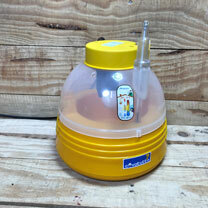 The perfect beginner's or child's incubator this easy to use model will hold 6 or 7 chicken eggs or up to 18 quail eggs. The easy to clean, insulated base helps maintain an even temperature with the heat being supplied by a small 15W bulb. 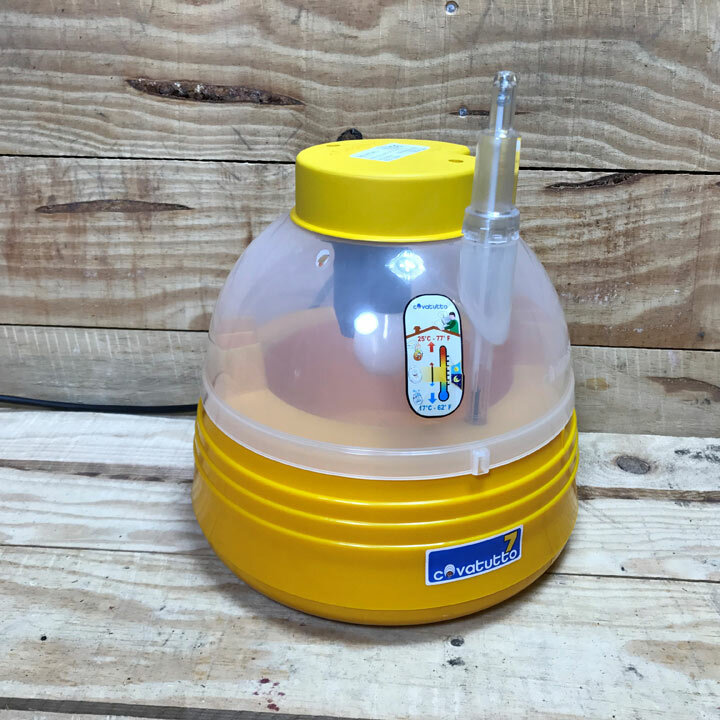 The clear plastic top means you can watch as the chicks breakout from the shells and the manual egg turning is a wonderful way of involving children in the process. Perfect for schools. Voltage 240v. Manual egg turning. Easy-view clear top. Made in EU.